THE FUTURE OF CONCRETE READY-MIX. DHE Inc. Concrete Equipment provided the installation of a new CON-E-CO Lo-Pro 427 Concrete Batch Plant inside of an existing 150′-0″ X 250′-0″ warehouse. Tighter City restrictions are reducing the availability of heavy industrial parcels for new Concrete Ready-mix operations. Moving a typical outdoor Ready-mix concrete batch plant indoors, eliminates the concern of noise, operating hours and water regulation compliance. The CON-E-CO 427 batch plant is located on one end of the existing warehouse. 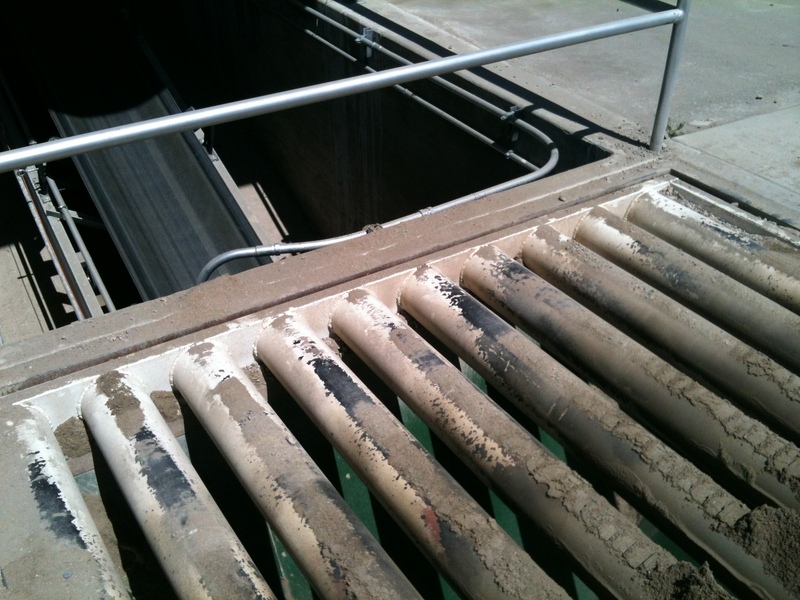 A steel roll up door allows access for the concrete mixer trucks to be loaded. A CON-E-CO central dust collector collects the dust from the mixer charge point and recycles the collected material automatically. The batch trailer is located inside of the building providing the batchman a direct line of site of the loading process. Any process water is collected and then recycled into the next batch load. Aggregates are delivered by bottom dump trailers into a grizzly at grade level. 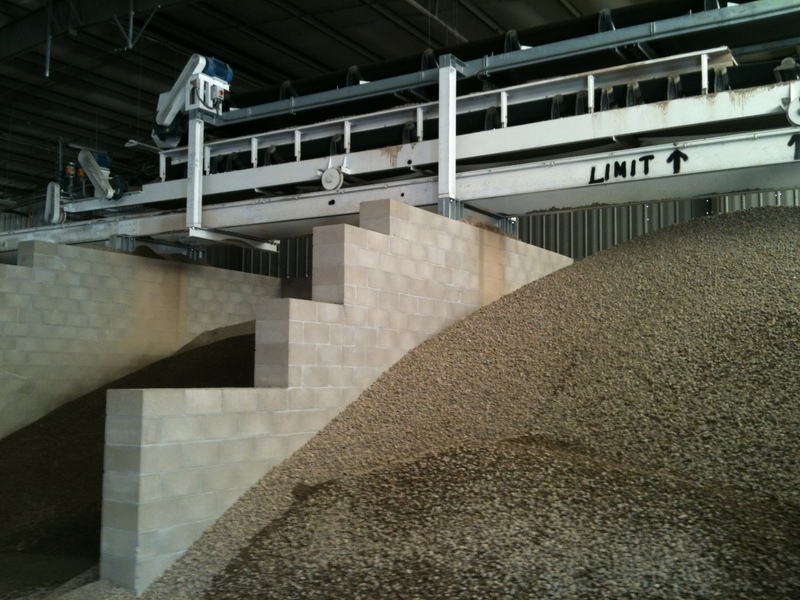 Rock and Sand is then conveyed to a shuttle conveyor storage system inside of the warehouse. A loader operator then feeds the plant via a NOBLE 30X80 radial stacking conveyor. Cement fill pipes are routed to the outside of the building allowing 24/7 access to the cement silos for the bulk drivers. A Command/Alkon COMMANDbatch control panel provides the plant automation and moisture control. 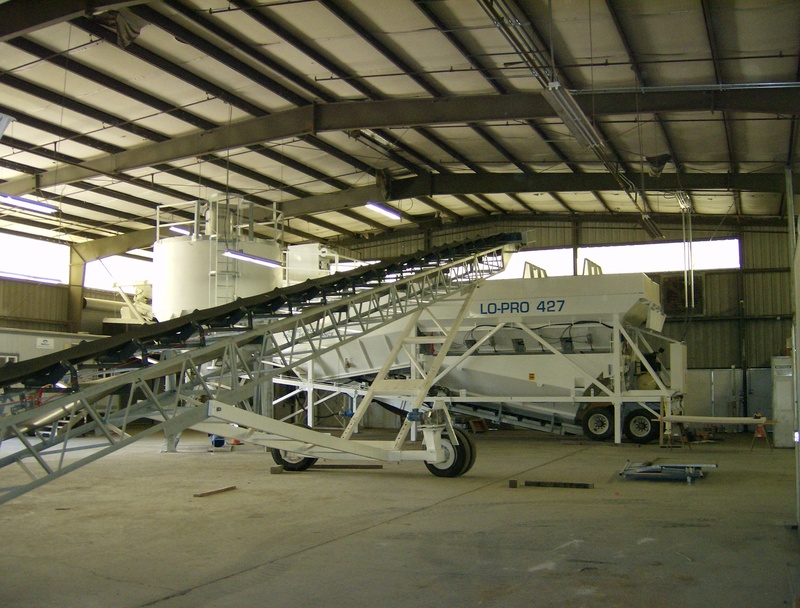 The single plant layout allows for the addition of a second CON-E-CO LoPro to be fed by the same material handling system.